In the end, it was science that changed the agency’s priorities. 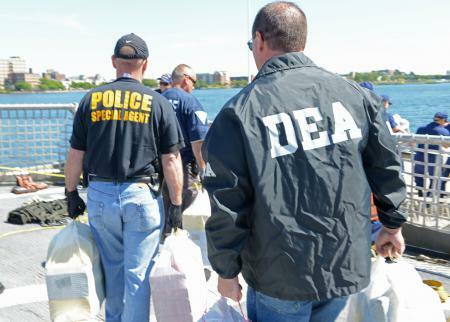 The only mourners for the DEA will be violent drug cartels, who rely on the American agents to keep prices high and competitors scarce. A few informants, known to the Agency as ‘snitches,’ may also miss their multi-million-dollar paydays. DC residents might be interested in the upcoming auction of utterly insane amounts of surveillance equipment, a wide range of illegally seized personal property, and an unknowable number of high-powered firearms and military-style tanks. (Wish constitutionally constrained government weren’t an April Fool’s joke? You might already be a libertarian – and you’re not alone. To learn more about our efforts to protect all Americans’ civil rights, all the time, visit www.lpgeorgia.com or search for your local chapter). Sadly also fake news, although I doubt anyone fell for it. Indeed. It is, however, true that so many people have been trolling the DEA about applying for a contract to burn seized marijuana that the agency has had to publicly ask people to stop doing that.